Research Advisory | Stakeholder Advisory Services, LLC. Stakeholder Advisory Services provides executive teams with a range of consulting services to ensure the success of market intelligence activities required to support strategic decisions. We work with executive teams to identify and prioritize critical issues that must be better understood to support key strategic decisions. The facilitation process narrows the breadth of market intelligence required, eliminating unnecessary expenditures of time and cost. Optimal research designs balance level of information needed, cost, and methods available for obtaining information from the market. We have deep experience with a broad range of market intelligence techniques and analytics enabling us to appropriately match the research design to the level and nature of information required. We provide assistance in the selection of market intelligence services providers and are able to manage the relationship with the provider from project initiation to delivery of final results. This ensures the program is executed fully and meets the needs of the executive team funding the exercise. Market research firms often miss the mark when delivering the required knowledge and insight to meet an executive team’s strategic information needs. Data by the pound is not helpful. We develop concise, executive-team focused strategic summaries based on the information provided by the market research provider. As part of our consulting services in this area, we conduct workshops that facilitate the strategic decision-making process. 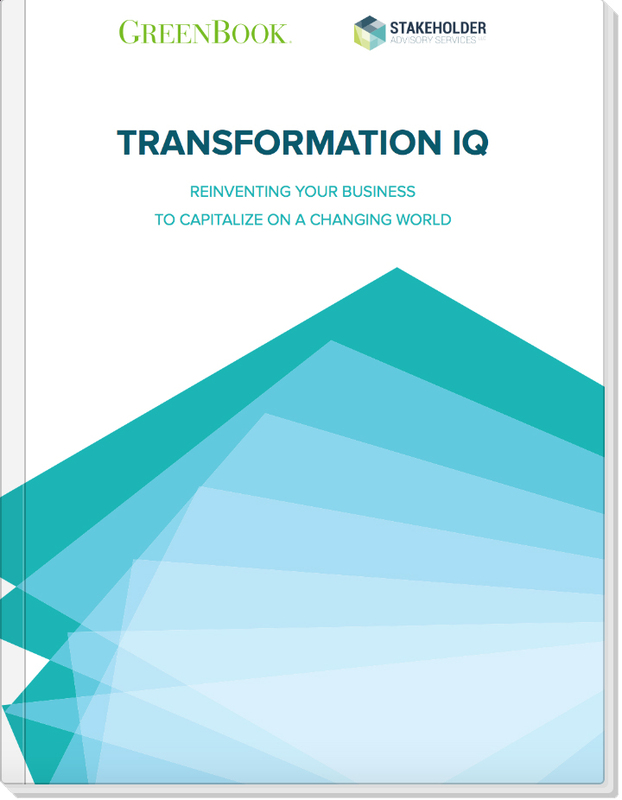 According to the latest GRIT Survey* more than three-quarters of insight providers believe they need to transform all or part of their business to remain competitive. Additionally, almost two-thirds say the market research/market intelligence arena will be even more disrupted over the next three years. Stakeholder Advisory Services provides consultative support to leadership of market research firms to help enhance their firm’s competitiveness in this tumultuous environment. We provide leadership with the mechanism to create transformational catalysts within their organization. Our workshop is designed to provide an overview of the keys to successful business evolution and start leadership teams on the journey to identify required actions to transform their organization. CABs are a critical insight avenue for successful, market-oriented transformation. We work with leadership to identify the appropriate structure of a customer advisory board, initiate the CAB and facilitate its operation. We work with leadership to develop pragmatic strategies and implementation plans to ensure achievement of transformational goals. Evolution must originate within the organization. 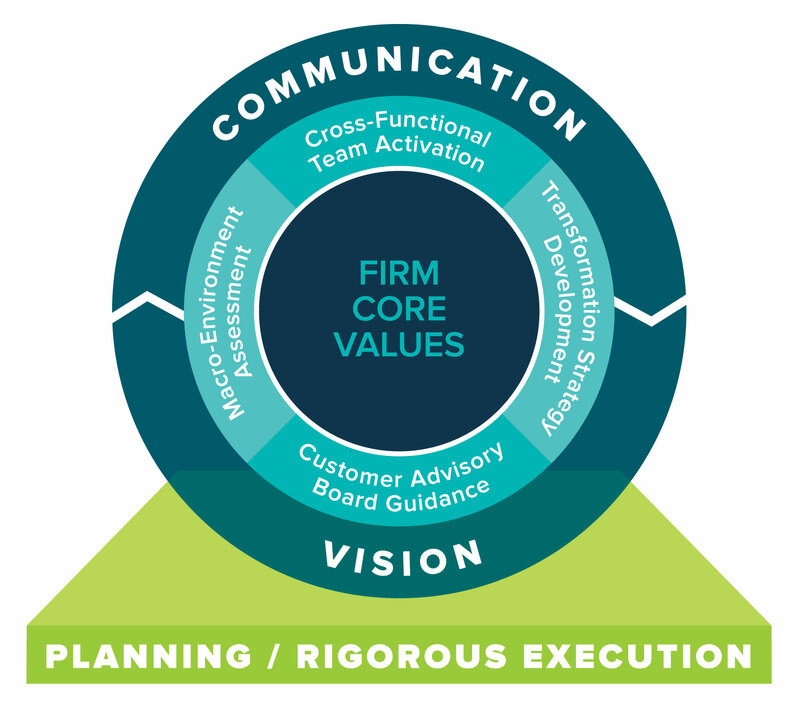 We assist executives in identifying effective transformation teams and then work with these teams in a coaching capacity to optimize their organizational impact.